Athens (AFP) - Migrant returns from Greece to Turkey will begin on Monday under the terms of an EU deal that has worried aid groups, as Athens struggles to manage the overload of desperate people on its soil. Turkish Prime Minister Ahmet Davutoglu on Thursday confirmed the start of the returns in one of his regular televised addresses to Turks. Under the scheme agreed with the EU, one Syrian refugee will be settled in Europe legally in return for every migrant taken back by Turkey from Greece. "That's to say, with the one-for-one method, the number of refugees in Turkey will not increase," he said. "And also nobody will sustain any human loss with the ambition of travelling to Europe via the Aegean Sea," he said, referring to the death of hundreds of migrants who have drowned crossing the Aegean from Turkey to the islands of EU member Greece. "This practice will begin as of April 4," he added. Although many of the details remained unclear, a European Commission source told AFP there was "a major engagement on the part of Greece and Turkey towards sending 500 people back on April 4, barring a last-minute problem". Those being returned would include "Syrians who have not requested asylum, Afghans and Pakistanis," the official said, confirming it would be the first batch sent back under a deal reached between Brussels and Ankara on March 18. EU spokeswoman Natasha Bertaud confirmed that Monday was the "target day" when those whose asylum claims had "been declared inadmissible" would be returned to Turkey. At the same time, the EU would start resettling Syrian refugees living in camps in Turkey, she said. A Greek government source said the returns would "most probably" occur from Chios or Lesbos -- the islands that have handled the bulk of arrivals from Turkey, and where thousands of people are currently being held in overcrowded registration centres. 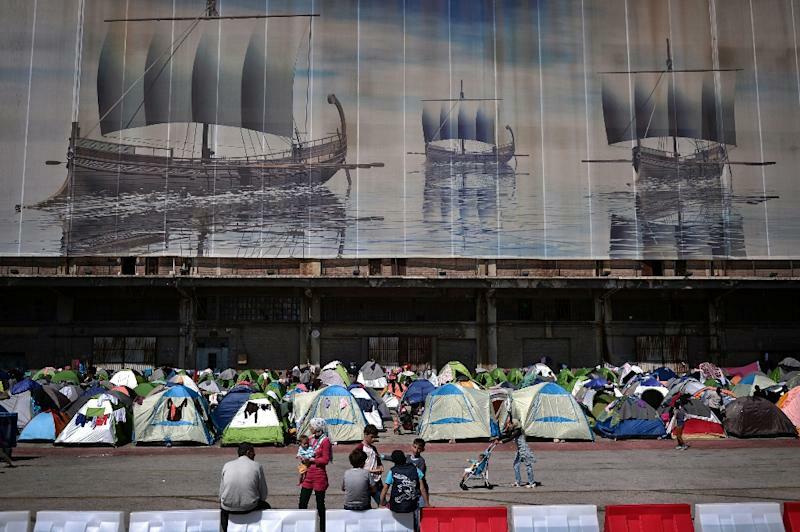 Aid groups have criticised the agreement on ethical grounds, warning that the Greek registration sites would become de facto detention centres for people slated to be sent back to Turkey after risking their lives and spending a small fortune just to reach Europe. Philippe Leclerc, head of the UN refugee agency in Greece, said his staff wanted to ensure that "nobody is sent back without access to the asylum application procedure". He added that currently on the island of Lesbos over a thousand people had not yet had a chance to apply and should be exempted. In Turkey, Hurriyet daily cited officials as saying that a "readmission centre" would be set up near the coastal town of Dikili in Izmir province for those sent back from Greece. Quoting a local official, the paper said the migrants would be processed within 24 hours and sent on to Izmir, or to refugee camps elsewhere in Turkey. Under the agreement, all economic migrants landing on the Greek islands after March 20 face being sent back to Turkey -- although the deal calls for each case to be examined individually. For every Syrian sent back from Greece, the EU has agreed to resettle one refugee directly from Turkey. A high official in the Turkish government also confirmed to AFP that the returns of migrants would begin on Monday under the terms of the EU deal and that "a number of Syrians equivalent" to those sent back from Greece "will be sent legally to the EU." For its part Greece remains cautious about the number of people who will be sent back to Turkey initially as the country is waiting for the deployment of some 2,300 European agents to carry out the details of the accord. The aim of the deal is to reduce the incentive for Syrian refugees to try tp cross to Greece in overladen smugglers' boats, encouraging them instead to stay in Turkish refugee camps to win a chance at resettlement in Europe. Greece's deputy defence minister, Dimitris Vitsas, said the EU programme will send a "strong signal" that will cut the migration route across the Aegean Sea. 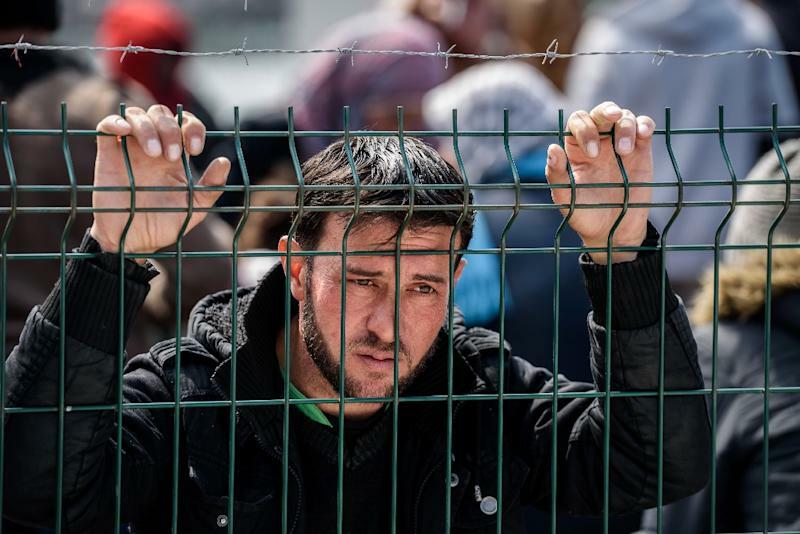 In 2015, more than a million migrants entered Europe, about half of them Syrians fleeing war. Today over 51,000 refugees and migrants seeking to reach northern Europe are stuck in Greece, after Balkan states sealed their borders. Hundreds more continue to land on the Greek islands every day despite the EU deal. Greek officials on Thursday began sending hundreds of migrants from Piraeus near Athens to other facilities, including the coastal town of Kyllini in the Peloponnese which is run by a Syria-born mayor. 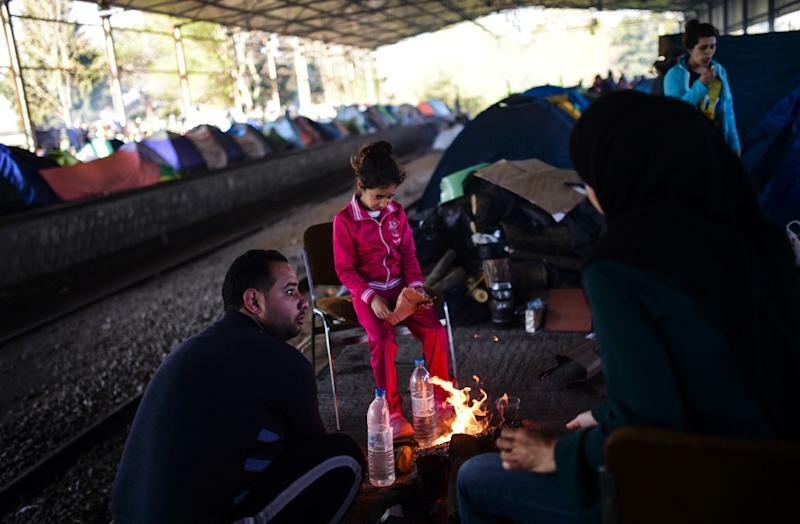 Greece's parliament was also expected to adopt by Friday a bill bolstering its migration and asylum services, and activating a 2013 European directive which says that migrants cannot be sent to a third country where they face danger or discrimination.